AMP SEO: Does AMP can help you improve SERP & SEO? At this point, everyone knows that Google is a giving high priority for Mobile-friendly pages. While everyone was busy in making mobile friendly pages, Google comes up with the great open source initiative called Accelerated Mobile Pages (AMP). There are two benefits behind this important initiative is Quick Read Carousel showing up in search engine results and higher ranking factor. Browsing on mobile while moving will mean that your internet speed will be not always fast. So it’s the best option optimize the mobile browsing experience of for all users. AMP pages load 4x times faster and use 8x fewer data when compared to regular web pages. Google AMP forces the user to use a streamlined version of CSS. Site owners and users have equal benefits. It’s much faster and more streamlined for searchers, especially on mobile devices that tend to be a little bit slower connection-wise. Although AMP is not a search engine ranking factor. However, all know that mobile friendly, Page load time is the primary ranking factors. By enabling AMP, your blog posts and pages will load 4x faster and consume 8x fewer data than non-AMP pages. Amp pages are mobile friendliness. Thus your blog will have good reason to rank better in mobile search engine results. Google SERP displays the AMP enabled articles with visually dominating thumbnails which include large images. AMP is rewarded higher in ranking and then slow non-mobile friendly pages. This can help Bloggers or webmasters maximize their Google SERP, fast-loading articles which will lead to more page views, fewer frustrated readers, and an easy path to SEO. AMP will affect SEO in regards to clicks, impressions, user experience, and speed. If the site dows not satisfy the user need, The smartphone user will immediately switch another site, and 80% of smartphone users switch due to loading time. Since the AMP module appears at the top of the SERP (for now), organic results are pushed everything else down. Publishers and Technology -Improve mobile content ecosystem. Load Fast, Easy to Explore. Visually dominating thumbnails in search Results. Lower Bounce Rate nad Higher Conversation Rates. 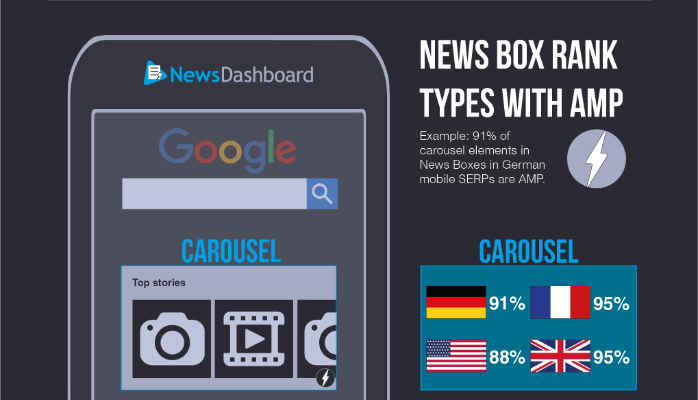 Early Adopters of AMP can grab the first position in mobile search results. You don’t have to the techie to implement and making it SEO friendly, Simply follow this How-to guides. That’s it, your website’s the secret doors will be opened for organic traffic. Do you have an Accelerated Mobile Page? What is its impact on your mobile SEO? Share your feedback and Ideas in the comment section below. I just made my home page AMP compliant today, but for me to show in Google as AMP do I have to do the whole site first? Also I have added a separate page for my AMP implantation. Is this OK? Please give some time to google to recrawl the site and index AMP pages, this process is automatic and you don’t have to do anything, just make sure the plugin is active and it is updated to the latest version. Thank you created this plugin. i use and now it errors with the category, i config auto redirect when use mobile.